This course will enable you to develop a general understanding of electric vehicles. It will provide you with an understanding of the different types as well as their history, costs and operation. 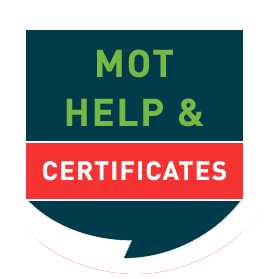 Technicians, recovery and emergency services, technical trainers, assessors and electric vehicle owners. Describe types of electric vehicle and the electric vehicle market. Understand the EV experience, history of EVs and Formula-e. Explain end of life processes. Describe autonomous cars and car hacking. This course will enable you to develop an understanding of the importance of health and safety in the electric vehicle and general work place. It will provide you with an understanding of hazard management and high voltages. Tools and equipment are covered too. Understand general safety precautions, hazard management, fire risks and controls. Explain high voltage safety precautions and risks of working with EVs. Explain AC and DC Electric shock and protection devices. Understand work categories (before, during, interruptions and after). Describe tools and equipment, including high voltage tools and on-board diagnostics. This course will enable you to develop an understanding of the basic electrical and electronic principles to assist you in understanding more complex aspects of electric and hybrid vehicles. Understand electron and conventional flow and the effects of current flow. Explain fundamental quantities, definitions and laws. Understand conductors, insulators, semiconductors resistors and circuit networks. Explain magnetism, electromagnetism and electromagnetic induction. Describe electronic components and ICs. This course will enable you to develop an understanding of the electric vehicle technology in general. It will provide you with an understanding of how electric vehicles are classified and configured as well as looking at associate regulations. Identify electric vehicles, cables and components. Explain hybrid electric vehicle layouts. This course will enable you to develop an understanding of the different types of electric vehicle battery. The two most common types are alkaline and lithium-ion, but the technology is changing all the time. It will also provide you with an understanding of fuel cells, capacitors and flywheels when used with hybrid vehicles as a form of energy storage. Understand battery life and recycling. Understand the following types of electric vehicle batteries; lead-acid batteries (Pb-Pb02), alkaline (Ni-Cad, Ni-Fe and Ni-MH), sodium-nickel chloride (Na-Ni-Cl), sodium sulphur (Na-S) and lithium-ion (Li-ion). Understand fuel cells, super-capacitors and flywheels. This course will enable you to develop an understanding of the different types of motor used on electric vehicles. It will also provide you with an understanding of the associated control systems. Explain construction and function of electric motors. Understand the different types of motor used on electric vehicles; asynchronous motors, synchronous motors, DC motors, electronically commutated motors and switched reluctance motors. Understand motor torque and power characteristics. Understand control systems and sensors. This course will enable you to develop an understanding of the electric vehicle charging systems and associated infrastructure. It will provide you with an understanding of different charging methods as well as wireless power transfer. Explain charging plugs, time, cost, modes and communication. Describe wireless power transfer (stationary and dynamic). Note: You should complete the first seven EV courses before working on this one. This course will enable you to develop an understanding of the different methods necessary when working on electric vehicles. It will also provide an understanding issues associated with roadside assistance and first responders. This course will also enable you to develop an understanding of the range of technologies in use on different types of electric vehicle. Understand inspection of high voltage components. Understand the removal and replacement process of high voltage and low voltage components. Explain results, records and recommendations. Understand issues associated with roadside assistance, repairs, recovery and emergency response. Understand and answer questions on the following; General Motors EV-1, Nissan LEAF 2016, GM Volt 2016 (USA version), Tesla Roadster, Honda FCX Clarity, Toyota Mirai, Honda light hybrids, Bosch parallel full-hybrid and Volkswagen Golf GTE.